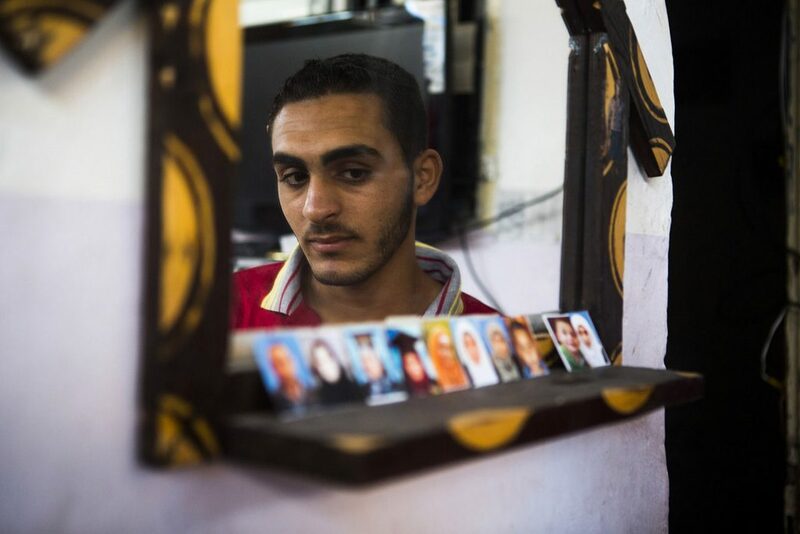 Photo: Ala Balata (17) in front of the photos of his parents, six siblings and two other members of his family, all killed during the attack. 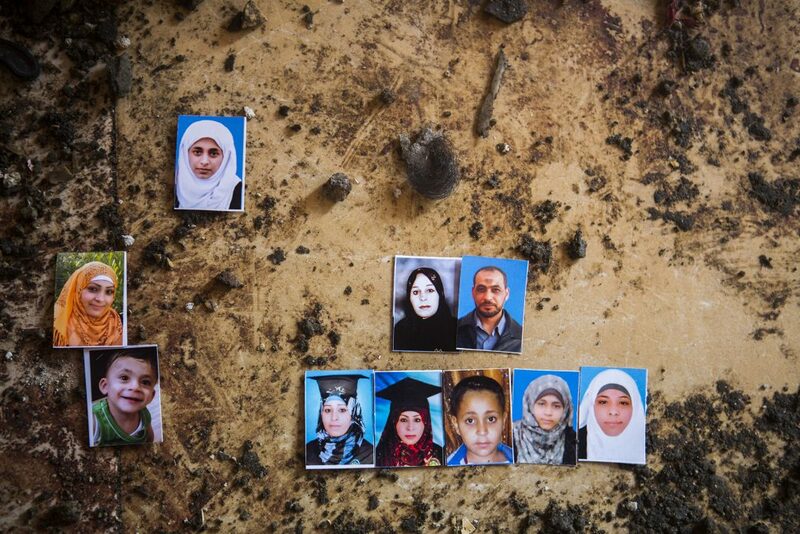 Ala survived because he was outside the house to check on places where other shells had fallen. His family was killed in the house of Abdelkarim, Ala’s uncle, to where they had fled a day earlier. A year after his family was killed, in September 2015, Ala got married to Amuna, his cousin. As of August 2016, they are expecting a baby; it’s supposed to be a girl, and they intend to name her after Ala’s late mother, Sahar.